That holds me in its sway. On water, rails and wings. ¶ 4 Leave a comment on paragraph 4 0 When Thomas Killride looked at the stamps he collected, he read “wondrous stories.” He felt patriotic about American achievements and proud of heroes who helped to “free Our great and mighty country.” Stories leaping out from American commemorative stamps, like the ones Killride alluded to, were shaped by decisions made by the Postmaster General and his assistants and influenced by elected officials and the American public. Starting in 1892, the USPOD printed commemorative series advertising the U.S. world’s fairs with imagery that revered American achievements in technology and American and European conquest of lands and peoples. History as depicted on ordinary postage represented a top-down approach by honoring American political and military history showing the faces of former presidents and military leaders. Commemorative stamps offered a government-approved version of American history that both collectors and non-collectors noticed. ¶ 5 Leave a comment on paragraph 5 0 By the 1920s, Americans petitioned the government and asked the USPOD to print stamps that commemorated a local anniversary or honored their favorite hero. 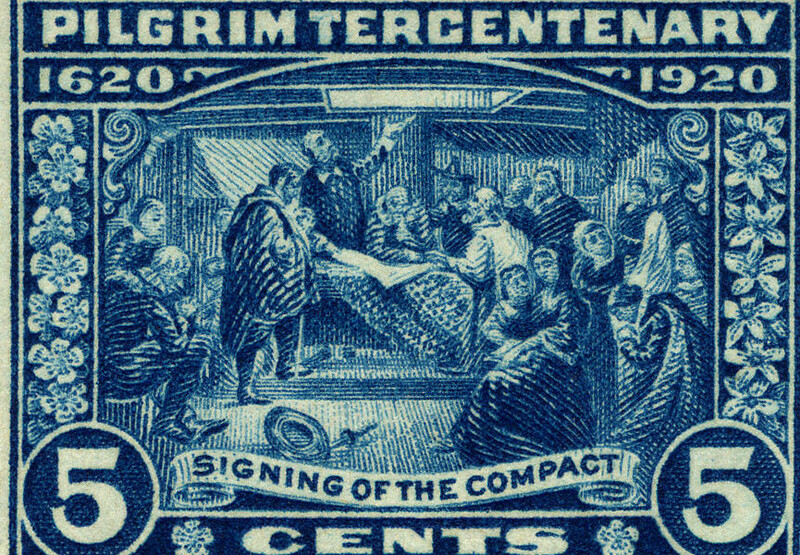 By doing so, petitioners sought the legitimacy of the USPOD to broaden the American national narrative distributed and presented on commemorative, limited-issue stamps. Individuals and special interest groups framed their petitions by arguing that their event or hero exemplified American values, innovation, leadership, or played a foundational role in winning independence. Most petitioners did not collect stamps as a hobby, but because most Americans had been primed to see and read stamps as something significant beyond their practical use as postage, they saw that stamps held power as unique federal documents to tell stories with images that circulated widely throughout the U.S. and the world. ¶ 6 Leave a comment on paragraph 6 0 American commemoratives served as a powerful tool for disseminating federally-sanctioned episodes of American history. This strategy proved successful for the USPOD as it became more interested in fostering philately as a consumer practice and hobby. After finding that commemorative world’s fair stamps would sell in the late nineteenth and early twentieth centuries, the Department looked beyond national expositions and began designing stamps that recognized regional commemorations and individuals and significantly increased the number of commemoratives printed in the early twentieth century. From 1892 to 1919, the USPOD printed forty-seven different commemorative stamps, almost exclusively celebrating world’s fairs or regional expositions. Limited-issue production tripled between 1920 and 1940, when the USPOD printed and released 150 different commemoratives. After creating the Philatelic Agency in 1921, the Department was better equipped to handle the distribution of additional issues and requests from collectors. ¶ 8 Leave a comment on paragraph 8 0 Federal statutes restricted the UPSOD from printing the portrait of any living person on stamps, which privileged stamps—definitive and commemorative—that represented snapshots from the past.3 As citizens and politicians petitioned the postal service, the USPOD did not accept all commemorative stamp requests. Officials carefully chose subjects for commemorative printing, and this authority elevated any story or individual into a broader official American narrative that told consumers that this person or event was nationally-significant and worthy of representing the United States. These carefully-chosen and constructed stamps were then collected and saved by philatelists, some who saw American stamps not only as “wondrous stories” but as “stepping stones of history” that traced, from beginning to end, the “Alpha and Omega” of America’s story.4 This perception was perpetuated by philatelists, teachers, and the USPOD who justified the educational value of collecting stamps. Viewing the corpus of commemoratives in this way indicated that many collectors—and most likely many non-collectors—believed that scenes printed on stamps told accurate stories from the past and that individuals were chosen because of their an undisputed significance in American history. These stories became memorialized as collectors saved stamps. Those stamps, transformed into miniature memorials to the subjects represented within. ¶ 9 Leave a comment on paragraph 9 0 Postmaster General James Farley, appointed by “First Philatelist” Franklin Delano Roosevelt during his presidency in the 1930s, recognized that these commemorative stamps acted as “permanent memorials.” Much like structural memorials built in public spaces, one vision of the past dominates the stamp’s imagery, which screens out other perspectives. Stamps were small in size, but their availability made them more accessible than sites of national memory such as museums, archives, and monuments. These sites have the power to be nation-building tools that erase a personal, experiential memory of the past.5 For this reason, it is important to examine limited-issue commemoratives and their impact as if they are miniature memorials. ¶ 10 Leave a comment on paragraph 10 0 As the USPOD worked to present a united vision of the past, stamp scenes showed a decisively white, male, and Protestant vision of early America that obscured more diverse and complicated realities of slavery, violence, and oppression. Conversations revolving around these stamps demonstrate how the USPOD became a powerful institution that legitimized and distributed historical narratives, and one that allowed ordinary citizens to engage with its government. Americans always maintained a close relationship with the postal service, and when successfully petitioning for a stamp on behalf of their cause some citizens actually influenced postal decisions and public memory.